Jennifer Tu appeared on Show 222, recorded in November 2010, at age 16. 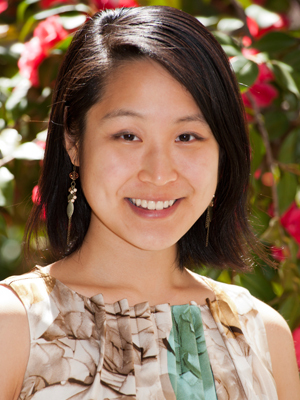 JENNIFER TU is currently a senior at Harvard University, studying Neurobiology with a secondary in Global Health and Health Policy. She hopes to pursue a career in geriatric medicine and continue initiatives using music and service. Serving as co-director of Harvard-Radcliffe Music in Hospitals and Nursing Homes Using Entertainment as Therapy (MINUET) has allowed Jennifer to explore new ways of connecting people of different backgrounds and generations through music. MIHNUET brings undergraduate performers to more than twelve nursing homes in Boston. Since its establishment in 1994, MIHNUET worked broadly, recruiting students who were available to visit a different site every weekend. Implementing her experiences as a Summer Director of MIHNUET in 2014, Jennifer reformed the program to foster long-tern relationships between volunteers and sites. After the formation of “resident teams,” each of which is designated a single site to visit regularly, volunteers can now continually reflect, improve their performances, and learn from the wise individuals they serve. Jennifer is a member of the Center for Development of Arts Leaders (CDAL) in Boston.